Blended twill with spandex and recycled polyester for comfort and stretch. Sits at the waist. Hidden side elastic for adjustable waist. Flat front. Fly front with zipper and button closure. Two quarter-top front pockets. Twoáback besom pockets, left with button closure. 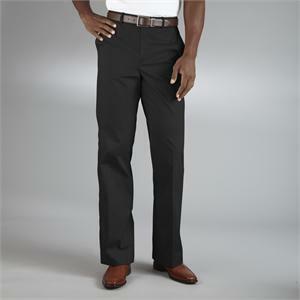 37" unhemmed inseam.